The Next Generation Nursery Jaws® are one of the newest additions to the Nursery Jaws® family of material handling attachments. 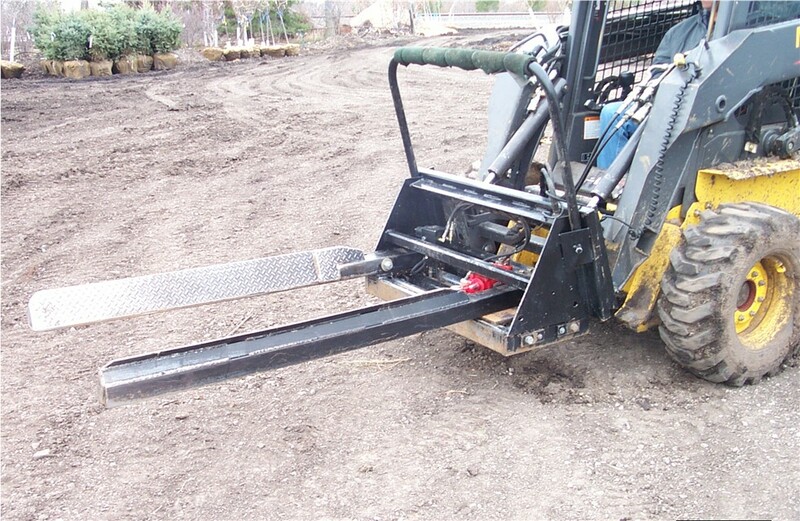 Next Generation Nursery Jaws® has impressive capacity with heavy duty construction for long life. The Next Generation Nursery Jaws® incorporates the versatility of the Nursery Jaws® 2's method of handling materials but with a greater capacity, greater range of motion and with virtually no maintenance! From large to small, now you can do it all! Two functions to adjust parallel width of the forks, with a wider range of adjustments than the Nursery Jaws® 2. 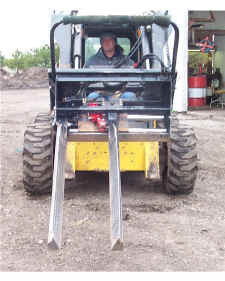 The ability to handle materials either using the pivot fork or the parallel pivot arm makes it extremely USER FRIENDLY! "The steadily increasing quantity of Nursery Jaws® in our production holding area is the best example of the pivotal role they play in efficiently moving and loading thousands of heavy, balled and burlapped trees. We've tried two other varieties and our loaders like the Nursery Jaws® best. With minimal, if any, design/breakdown issues, we find them extremely reliable and absolutely perfect for our size, weight and safety needs." "Having been a satisfied Nursery Jaws II owner since 1997, we were excited about the opportunity to try the Next Generation Nursery Jaws®. Another quality product from a quality company. The Next Generation Nursery Jaws® are built to last. They're just as versatile and durable as their predecessors with no consumable parts. With almost a full problem free season behind them, they have required virtually no maintenance and show no signs of wear."